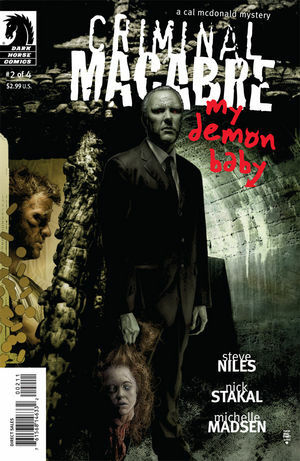 Home » Films » Universal picks up Niles’ CRIMINAL MACABRE. Universal picks up Niles’ CRIMINAL MACABRE. And Hollywood just can’t seem to get enough supernatural material these days. There has been interest in CM in the past, but creative differences have prevented anything from happening. According to Niles, one of the concerns was the fact that Cal is a recovering junkie. I don’t get being interested in something, then wanting to change the very things that made it interesting. Niles has been protective in the past, so it is safe to say that Uni is interested in staying true to the orginal vision.